Considering how little spending actually got cut in 1981, this suggests that Republicans may have a lot less political capital to play with than they imagine. It also suggests that their strategy of front-loading spending cuts in the fiscal year 2011 is very ill-conceived. They are using up all the political capital they have for cutting spending in a way that is highly unlikely to be successful and that will not yield long-term savings. 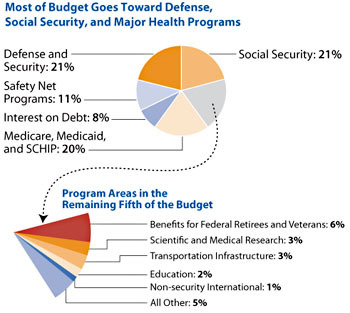 By the time they get around to doing something about entitlements, they may find that budget cutting exhaustion and frustration has set in and there is no support left for big budget cuts. It may be that they have one bite at the budget-cutting apple and they are squandering it. Parties always come to power thinking they have more political capital than they do. Reagan couldn’t cut the budget much, Clinton couldn’t enact healthcare, and Gingrich couldn’t pass his Contract With America. Americans might throw the bums out with regularity, but that doesn’t mean they’ve suddenly done a U-turn on their political beliefs. At most they’ve shifted in their seats slightly. I’m not a huge deficit hawk, but I do think the long-term deficit is a problem that we’d do well to address. But above all else, this means tax increases and slower growth in healthcare spending, and we’re plainly in no shape to do either of those things right now. Here’s my guess: the best time to do this is in 2013. The Republican Party needs to get the tea party out of its system and wait for guys like Glenn Beck to outlive their 15 minutes of fame. They need to get over the idea that another two years of lunacy will allow them to win back the White House. Barack Obama needs to win reelection without promising to extend the Bush tax cuts. And the rest of us need to let the economy recover so we’re dealing with the deficit from a position of realism, not panic. At that point, with Obama back in office and Republicans chastened, it’s possible — barely — that we can come up with some kind of one-time bargain that raises taxes, cuts Social Security slightly, reins in Medicare, and makes some cuts to the defense budget. The odds aren’t good, but they’ll be a lot better than zero, which is what they are now. Bruce is right: this is the kind of thing where you get one big shot, and it’s foolish to waste it right now.